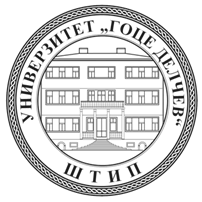 The Faculty of Law was established by the Law on Establishment of Goce Delchev State University in Shtip (Official Gazette No.40 of 30/03/2007) and in accordance to Article 114 of the Statute of UGD-Shtip the Faculty is a regular member of Goce Delchev University, Shtip. The mission of the Faculty of Law is to develop as a transparent higher education institution where the staff will be educated for their future occupation in the judiciary, public administration, the economy, in the electronic and print media, as well as in any other field that requires knowledge of legal science and journalism. Our intention is the Faculty of Law to advance as an open institution where the European model of education will be reflected, both through the fulfillment of the standards and principles in the education system, as well as by including the European and world trends in curriculum and programs. The structure of the undergraduate study programs of the Faculty of Law consist of the following studies: Legal Studies in Shtip, Legal Studies in Strumica, Media Studies and Public Relations in Shtip and Applied Policy and Diplomacy in Shtip. The structure of the postgraduate study programs at the Faculty of Law consist of the following studies: Criminal Law, Public Administration, European Law, Democratic Institutions and Human Rights, Business Law and Civil law. The structure of the study programs for the third cycle studies at the Faculty of Law consist of the following studies: Legal sciences - Human Rights and Freedoms and Political Sciences - Political systems.